The so-called online platform being introduced by the embattled gold dealership company, Menzgold will still be closely monitored, head of Legal and Enforcement unit at the Securities and Exchange Commission (SEC) Nii Oman Badoo has stated. According to Nii Oman Badoo, SEC will be swift to act appropriately if Menzgold online platform breaches the regulatory regime of Ghana. Menzgold on November 5, 2018 launched an online platform known as Menzgold Global Market. Menzgold Ghana Limited has also said it will begin to pay its clients part of their initial gold collectibles value on Friday, November 9, 2018. 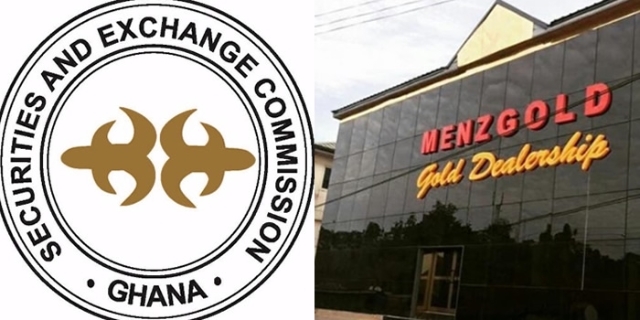 Despite the fact that it remains unclear how the Menzgold will be operating online, the Securities and Exchange Commission said it will intervene when they see anything untoward. Speaking to the media in Accra, Mr. Badoo said the Securities and Exchange Commission has limited information on the platform but will not hesitate to step-in if it offends the laws of the land. “We have also picked signals in public on the issue about an online business. We are monitoring. As long as it offends our legal or regulatory regime, we will come into play. “As long as that platform falls within the regulatory regime of the SEC, the SEC will act. In a September 3, 2018 letter signed by Deputy Director General, Paul Ababio, said: “In September 2017, the SEC issued a public notice indicating that it does not regulate Menzgold. The SEC began to further investigations into the activities of Menzgold in July 2018. In August 2018, the Commission called for an inter-sectoral meeting that involved the Minerals Commission, Bank of Ghana and the Securities and Exchange Commission. The Meeting concluded that it is evident Menzgold’s activities appear to go beyond the mandate authorised in its license”. As a response to the letter from the Security and Exchange Commission, Menzgold on September 13, 2018, announced that it has temporarily halted its collectibles and any new business related to its gold vault market with immediate effect and since the halt of business, Menzgold not being able to resume till date. Eventually, Menzgold on September 27, 2018, hauled the Securities and Exchange Commission (SEC) and the Bank of Ghana (BoG) to court over what it deemed as an unfair treatment being meted out to the company. Menzgold in its suit is seeking an order from the court to halt these two state institutions from interfering in its business and operations. The gold dealership company is also asking the court to stop the BoG and the SEC from further publishing what it described as “derogatory notices” against its business.